This has become the catchcry of Christians around the world tackling global poverty and injustice, giving rise to the ‘Micah Challenge;’ we’ve used their resources in our own worship and work for justice at West, particularly concerning the Millenium Development Goals. Of course, we’re not into taking little chunks of Scripture out of their context, so this week, I’m inviting everyone at West and also our Presbyterian friends from St James‘, to read all of Micah and consider these famous words as part of the whole collection of sermons and messages that make up this prophetic book. 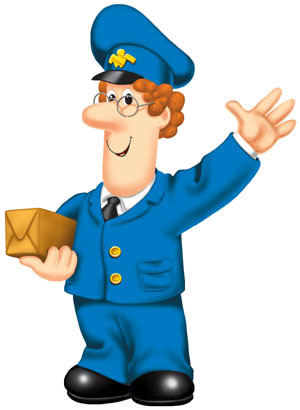 Most of the time the prophets are like posties, delivering a message from God to God’s people, in real time. Heaps of the time they’re like police officers, enforcing the law, the agreement between God and Israel, reminding the people of what they already know about how to behave. Some of the time they’re like weather forecasters, foretelling the immediate future – just what’s going to happen next in the lives and lifetimes of the listeners, and often as a consequence of how they’re living their lives now. Just occasionally – hardly ever, actually – they’re future predictors, foreseeing events that will occur beyond the lifetimes of the original listeners. So as you read through Micah this week, keep an eye out for which parts of the book fit into which categories. What part of Micah do you find the most striking or interesting? Why? Micah talks about justice a lot, and gives lots of specific examples of injustice. If he was preaching to the churches of New Plymouth, what kind of injustices do you think he’d be drawing our attention to? Have a look at the Kiwi or international Micah Challenge websites: what do you think the prophet Micah would think about the Micah Challenge? All right, West and St James, let’s hear your thoughts on Micah! No worries if you haven’t read all of Micah yet. I’m keen to hear what you think so far. Today and tomorrow I’ll be writing the sermon. As well as or instead of the questions above, perhaps you could tell me what part of Micah you’d most like me to focus on, either because you like it so much or because you don’t get it and want some exploration of what’s going on. Prophecy 101: What confuses me about lots of prophecy, particularly the OT prophets, is how to figure out what was being prophecied for the short term, and what for longer term, or “end times”. Micah chapters 4 & 5 for example seem to be indicating Jesus’ first and possibly second comings, whereas other parts of Micah were “fulfilled” within a few generations of the prophet’s life time. All prophets assume that people will have either one god or another (e.g. carved images, sacred stones and Asherah poles). What would they say of our generation and culture where a lot of people don’t recognise that they serve any god. Also prophets like Micah speak in generalizations. Not very P.C. to lump all people from one nation together! I’d like to hear about how Micah foresaw God’s kingdom under the Messiah. Have fun with the sermon prep Thalia! Sorry to hear a few of you have had trouble submitting your comments. It seems to be all working now – if you have further trouble, could you please email me at pastor@westbaptist.org.nz and I’ll post your comment myself? Thanks! Lovely to see so many gathered today from both communities, and to hear your thoughts on Micah and New Plymouth! We look forward to getting together again soon.